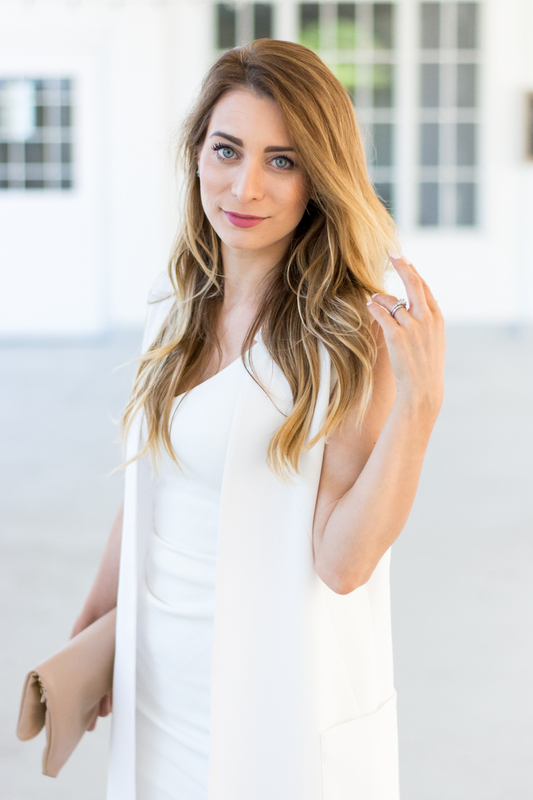 OOTD - White Plus Grey Equals Summer | La Petite Noob | A Toronto-Based Fashion and Lifestyle Blog. 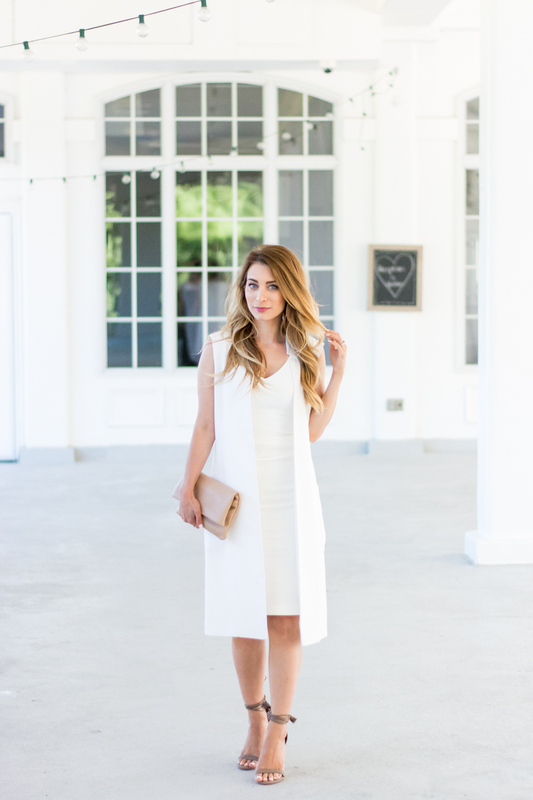 The obsession with whitening out my entire wardrobe continues, this time with the pairing of a slim white dress and my trusty white duster vest. If you follow me on Snapchat (username: lapetitenoob) you would have seen this outfit when I attended the Grey Goose Boulangerie Bleu summer party and it was great for a warm summer evening. The addition of these taupey-grey sandals from Le Chateau really grounds the outfit, and I love the neutral clutch! It's not often that this grandma is out for parties, but when I am you bet that you would find me in this outfit. I am absolutely head over heels (see what I did there) for these gorgeous, taupey-grey sandals - my July pick as a Le Chateau shoe ambassador. This particular style of sandal is so flattering on all leg shapes, and the tie-up detail gives them a modern twist! The material is also a faux-suede, so it's perfect for mid-to-later summer and even well into the beginning of Fall. What do you guys think? Too much white, or just enough? Do you love my shoe pick for July? Let me know! I absolutely love how these photos turned out, Joëlle! We make a pretty great team. LOL! And I am totally loving the white-out look. Those sandals are the perfect compliment. Thank you so much! I agree, it's SO hard to keep white clean - case in point, both pieces are at the dry cleaners now LOL. I just try to be extra careful and stay far away from red wine LOL. I really love your photos! This white dress is gorgeous on you. Perfect photos! Your vest is so classic! Such a classy piece.